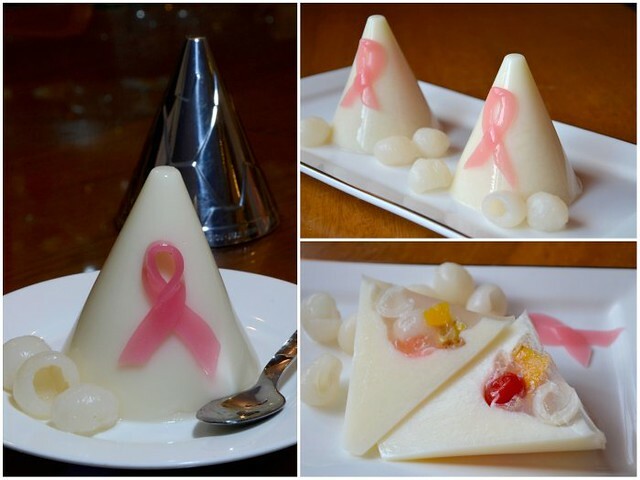 In my Pink Ribbon Almond Tofu post last week, I said part 2 of the post will be coming up and here it is, late but better than never. I've made a pink jelly or cone once a week for the last 3 weeks, to remind myself and readers of the reason for the Jelliriffic! Challenge. Every October, National Breast Cancer Awareness Month, companies around the world promote pink ribbon products (think pink KitchenAid cake mixer) , with the proceeds from the sale of these items going to support breast cancer research and awareness of the disease. 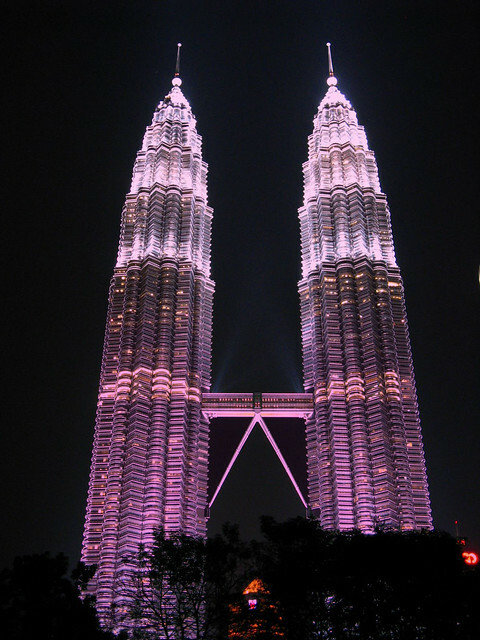 Famous buildings around the world are lighted in pink too, in solidarity for the fight against this disease which is the most common cancer among women in Malaysia. 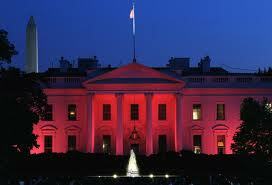 In the US, breast cancer accounts for 1 in 3 cancers diagnosed in women. The high rate of this cancer is an indication of how prevalent this disease is today but doctors emphasize that a healthy diet and lifestyle and early detection are the best ways to prevent the disease. I can think of three women whom I know who had breast cancer. The first lady, an acquaintance, had one chemotherapy treatment and stopped. She died months later. The second lady, the sister of a friend, did not tell anyone, not even her husband, until a year after her diagnose. She died two years after being diagnosed. The third lady, a friend, was in her 30s when diagnosed. She had a mastectomy and finished her treatment. That was 10 years ago and she's healthier now than ever. The message is we have to check often and take action when diagnosed. I don't know if the Petronas Twin Towers are lighted pink but here's my daughter's version. Breast cancer is curable if it's detected early. I attended a talk once by a surgeon who is an expert in this field and she said that these days even if a mastectomy (total removal of the breast) is required, reconstruction can be done (to very fine details). Some women dread losing their assets and think that it makes them less a woman. So, fear not. 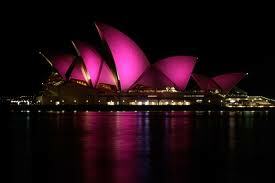 Besides, we have progressed so far that one need not resort to mastectomy for a cure. Many options are available before that. brook: i couldn't have said it better. thank you! nina: the thicker ribbons stood up better than the thinner ones although the thinner ones didn't need any toothpicks, they just stuck to the jelly. OOOO! This is lovlier than part 1. Love it, love it, love it. I would like to visit Petronas twin towers some day. 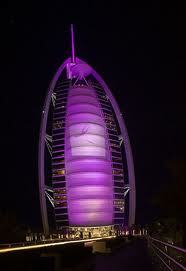 I like them because of this kind of structures are not easy to find everywhere, and also they are masterpieces.